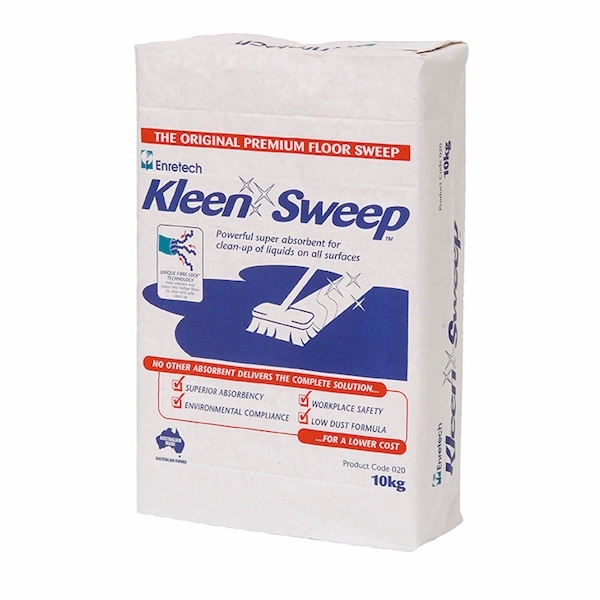 Kleen Sweep is a multi-purpose particulate absorbent that uses industry-leading, capillary absorbent technology. It is specially designed for the industrial, commercialand automotive markets. 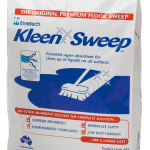 Kleen Sweep is manufactured in Australia from recyclednatural biomass by-products and totally encapsulates andimmobilises the spill,so that the surface is left clean and dry. 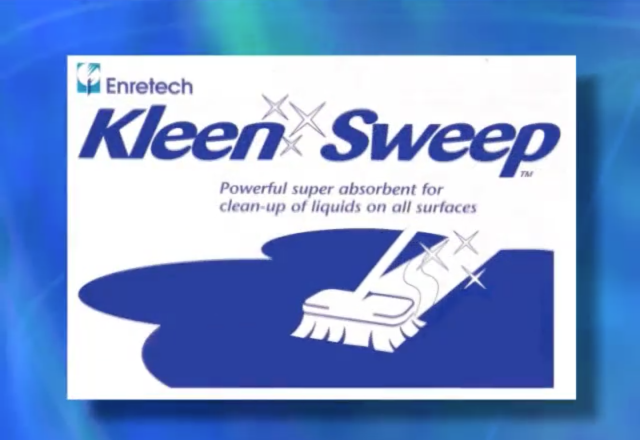 The product is simply spread around and over the spill, and swept back and forth until the surface is dry. 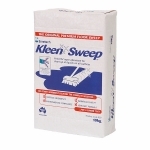 The sorbent is then swept aside leaving no surface residue. 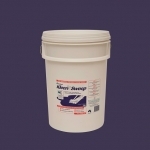 No secondary detergent or solvent washes necessary.KleenSweep can also be used to absorb water-based liquids such as food products, paints, and water-soluble chemicals (i.e. glycols).